Remote Area Tree Services spent March, April and May of 2011 working at Ramingining School, in East Arnhem land. Our team spent two months working in the heavy wet season rains until clear skies emerged mid April. Scott Forrest, subcontractor and close friend, climbed head to head with Richard Kenyon pruning around 200 mature trees in the school surrounds over this period. Nathan Wilson, of Peppimenarti, climbed his first African Mahogany, carved many an armchair and refined his chainsaw usage during this time as the RATS trainee. When we weren’t conducting tree maintenance, we were fishing or just generally enjoying life along the floodplains that became the Arafura Swamp. 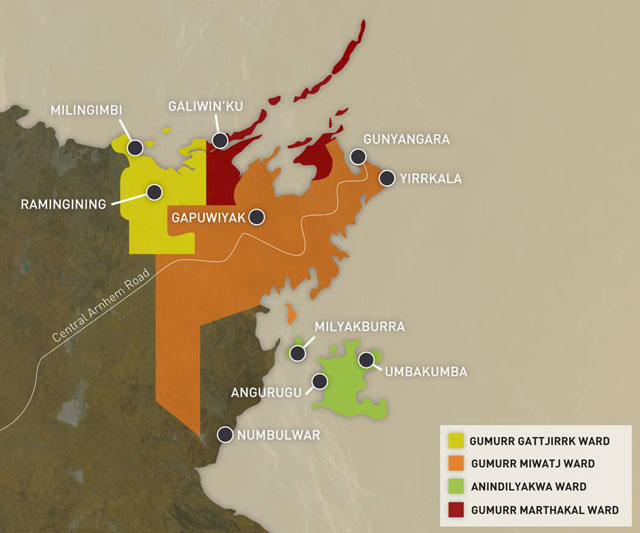 Ramingining is a mainland community located to the west of the Glyde River about 30 kms south east of Milingimbi Island, 580 km east of Darwin, 435 km by road west of Nhulunbuy and 30 km inland. The township is built on land owned by the Djadawitjibi people of the Djinang group. The region is home to more than sixteen clans speaking fourteen different languages, and borders on the heritage listed Arafura Wetlands in Central Arnhem Land. The main language spoken is Djambarrpuyngu with another two main languages spoken, Dhuwala and Dhay’yi. In total there are 14 languages spoken across thirteen clan groups including English. There are 11 outstations belonging to Ramingining; Yatalamarra, Wulkarimirra, Ngangalala, Mulgurram, Garanydjirr, Galadjapin, Gattji, Gelirri, Manbbirri, Bundatharri and Gurulul. Population at these outstations is very much dependent on season and rainfall with occupancy ranging from 6 to 100. These outstations are managed by Ramingining Homelands Resource Centre (East Arnhem Shire Council 2011).